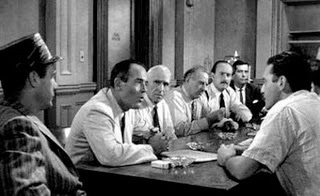 Sidney Lumet, Director; Reginald Rose, Writer; Henry Fonda, Lee J Cobb, Martin Balsam (1957). A sole dissenting juror slowly presents rational questioning to the other eleven jurors in the murder trial deliberation. 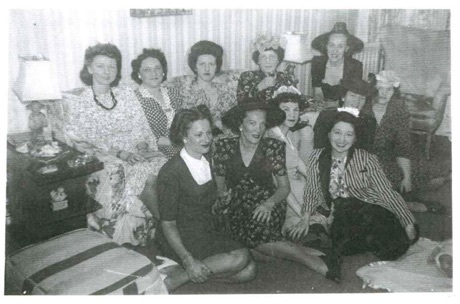 Ruth Provus (top left), Jean Brown, Helen Munsert, Charlotte White, Charlotte Gauer; Phyllis Schneider (Bottom left), Faye Hernreich, Eva Pollack, Kay Nohelty, Kay Agar, Esther Kegan.